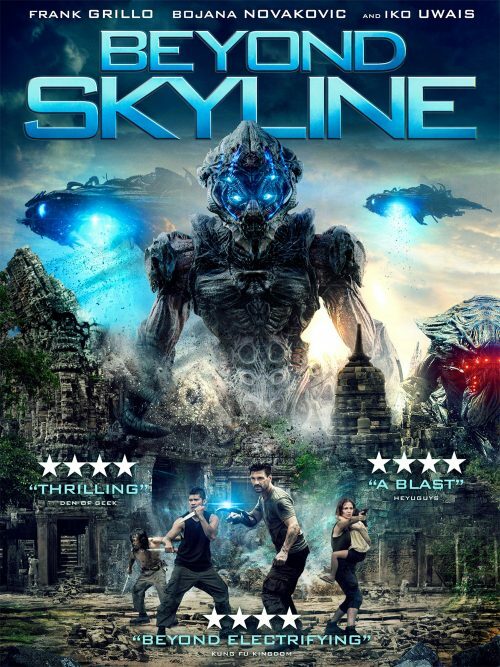 yNot only do we have a new trailer for the sequel to the 2010 Skyline. We also have the poster and a couple of images to keep you interested before it hits where you normally buy your newest DVD. Los Angeles Detective Mark Corley thought bailing out his eighteen-year-old son, Trent, was the worst part of his day. But on the ride home, the skies above fill with a strange blue light. Within moments, the entire city’s population is vacuumed up into a massive alien ship. Landing in Southeast Asia, they encounter a highly skilled resistance force, led by the deadly Sua. In a race against time, these warriors from different sides of the world must unite to save their families and take back the planet.